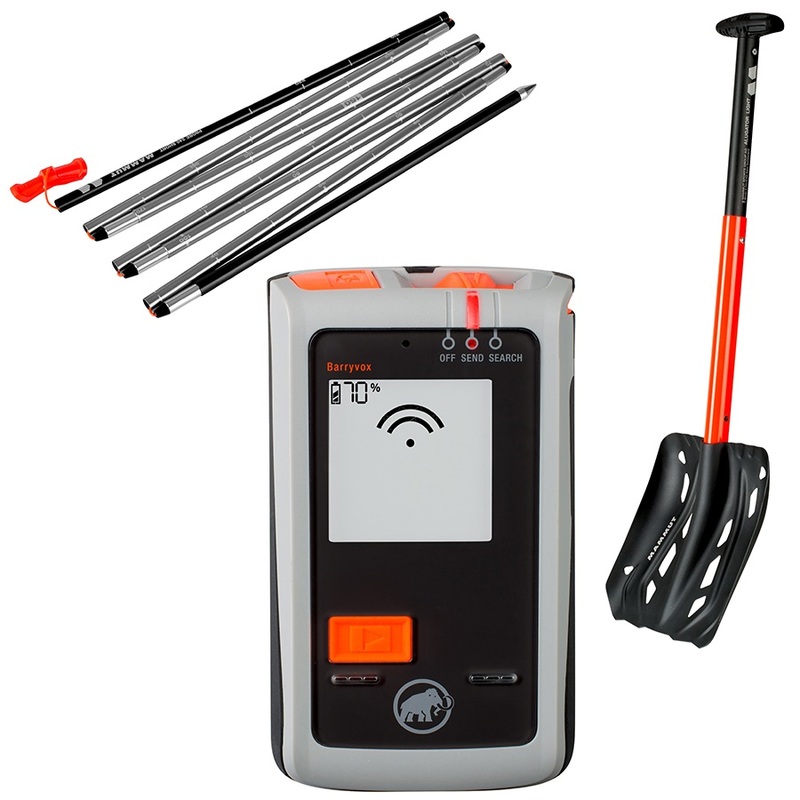 Let's face it, you need all three essential bits of avalanche safety kit - a probe, a snow shovel and a transceiver - so save some money by buying all three together in one of our avalanche package deals nice and cheap in our sale. The transceiver is needed to locate the victim. If you are the victim, you will need a transceiver because when buried it automatically switches to broadcast mode and becomes a beacon. It is best to make sure all of your mates are also carrying a transceiver so they can find you! Transceivers only take you to the general location. After that you need a long probe to poke into the snow to locate your victim - again, all of your mates will need a probe. Finally, a snow shovel will dig you out 20 times faster than bare hands. Time is of the essence so everyone will need a snow shovel. Full package of essential backcountry equipment from Mammut.